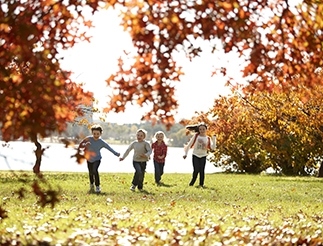 After a while the daily commute to a high pressure role, the busyness of the kids schooling, afternoon activities and, of course, daily family life, can make a family tired and seeking a holiday destination where they can unwind, reconnect with each other and take time to re-energise. I have found the perfect spot and whilst in involves an international flight it is an Australian Territory. 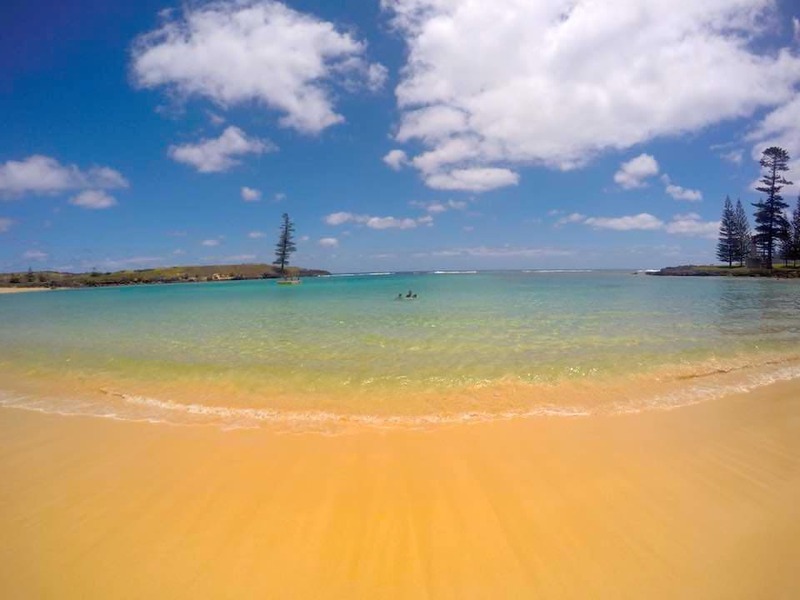 Have you heard of Norfolk Island? 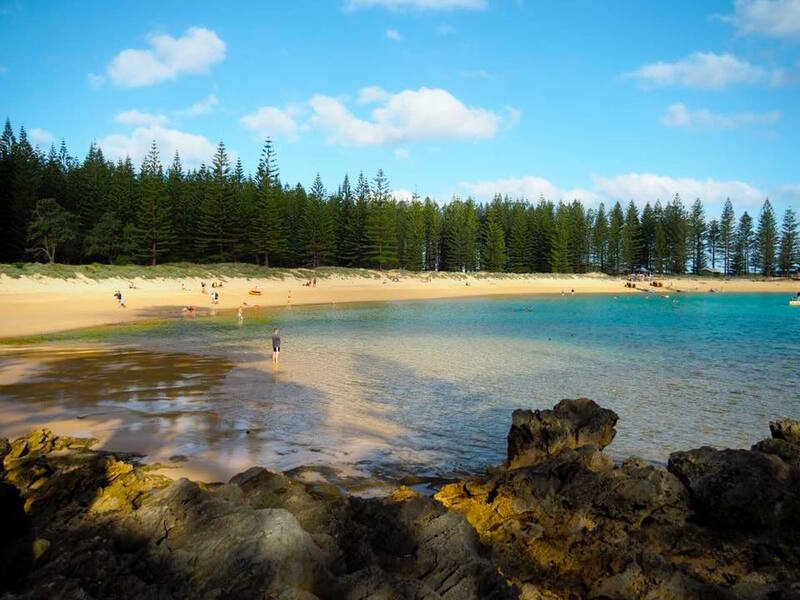 Often framed in the context of the Mutiny of the Bounty, Norfolk Island also has spectacular sandy beaches, a growing foodie culture, and adventures abound for both the kids and adults alike. 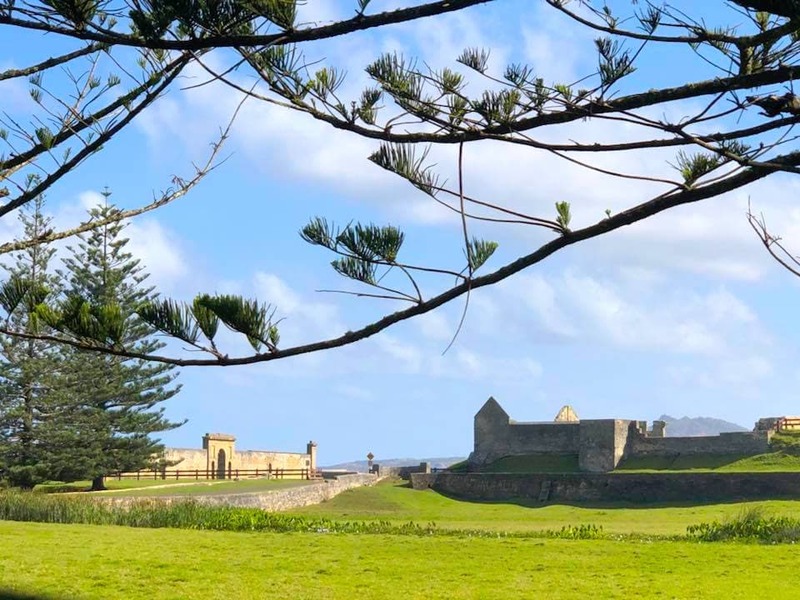 So what are the top highlights of Norfolk Island? Emily Bay has the honour of being one of Australia’s most incredible beaches. With a protective double reef, the ocean gently laps the sandy beach making it the perfect swimming spot for families. If you love to snorkel, Slaughter Bay will be the destination of choice. Not far from Emily Bay, this spot has spectacular corals right off the beach and an abundance of sea life to explore. 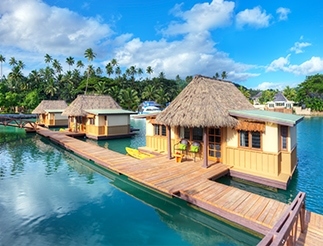 You will mesmerised by the incredible visibility too which rivals all other sites we have snorkelled. Norfolk Island has a growing reputation as a foodie paradise. It's relative isolation from the rest of the world has created an island which is almost totally self sufficient. Food served in the island's cafes and restaurants are seasonal, dependant on what is growing at the time or what they have been able to preserve from the last harvest. 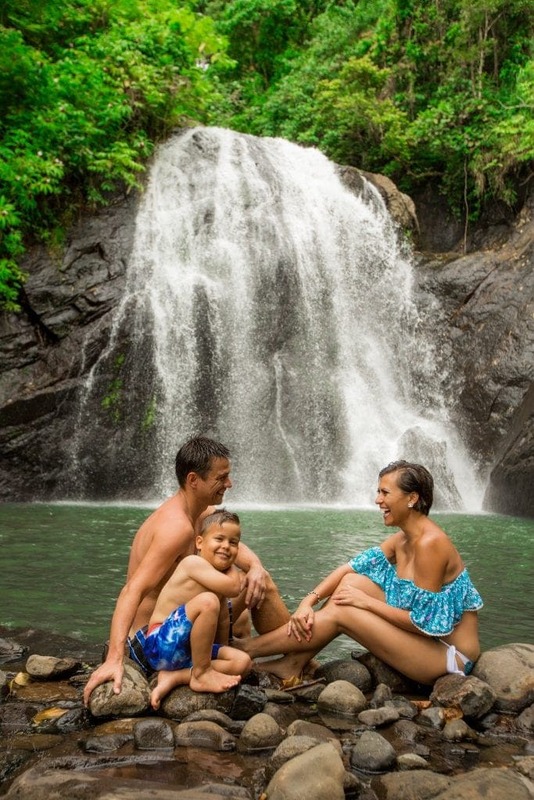 Our top recommendation for families is the Hilli Goat experience is not to be missed but must be booked in advanced. 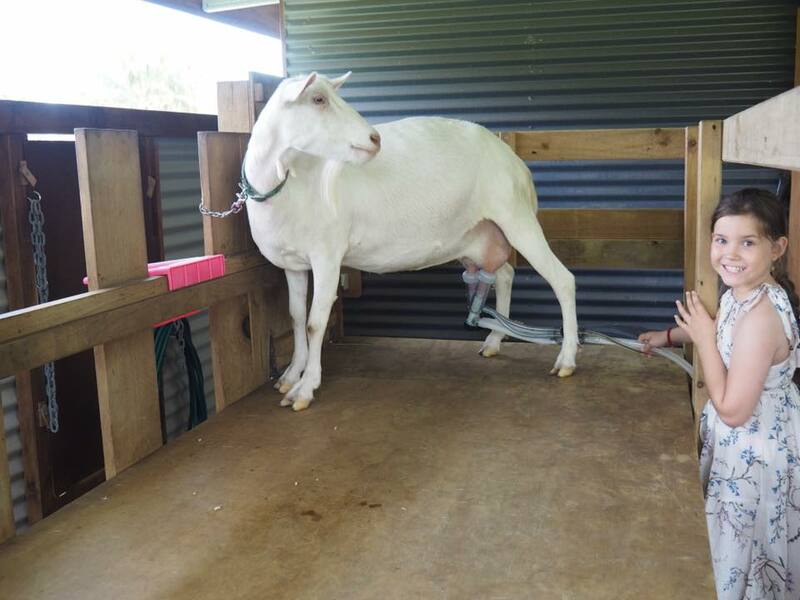 You will find the Hilli Goat Farm in Anson Bay where a small herd of goats have been bred by local Emily who will treat you to a tour of her property, an opportunity to meet and milk the goats, and then one of the most incredible spreads you've ever eaten, all whipped up in her kitchen and all locally sourced. 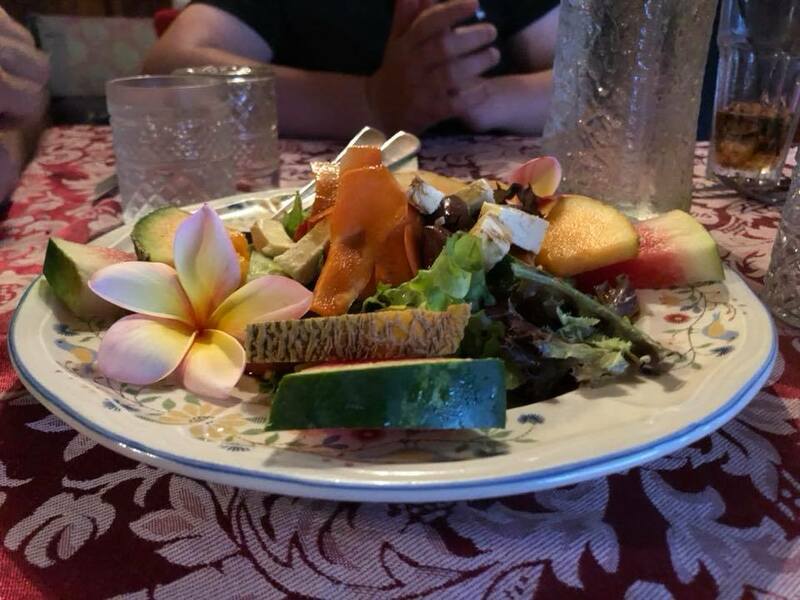 On our visit, the afternoon tea featured sashimi from the morning's catch, a range of goat cheese, delicious salads, and a plethora of local produce. Highly recommended. Norfolk Island was first settled by the English shortly after the First Fleet arrived in Australia. It too was used as a penal colony and the Kingston and Arthurs Vale Historic Area (KAVHA) is now one of the 11 UNESCO convict sites of Australia. What adds to Norfolk Island's uniqueness is that this part of the island is also Australian area to display evidence of early Polynesian settlement which is a short stroll from Emily Bay. It is also the very place where the Pitcairn Island descendants of the Bounty mutineers were re-settled in 1856. Much of the site is accessible for free on foot, although a museum pass will give you unlimited access to the different museums across KAVHA on your stay. If you would love to see history come alive, the Pinetree Tours Sound and Light Show, the Mutiny of the Bounty Show and the Pitcairn Settlers Village Tour are must see experiences. Whilst Norfolk Island is relatively small in size, it makes up for it with the incredible bounty of birdlife, its coastline and national park. You can wake up in the morning, hit the road (stick to under the 50Km/h speed limit!) and explore something completely different each day of the week. Whilst the reefs and wider ocean areas boast sea turtles and a bevy of sea life, the island itself is a buzzing hive of birdlife and with five different species seen nowhere else in Australia, it a paradise for twitchers and visitors alike. During nesting season, the kids will love spotting the baby chicks in the trees and in burrows at the bottom of tree trunks. And then there's the fig trees, the hiking tracks and the waterfalls. Pack your lunch and your water bottle and take a trek through the national park where you will spot further wonders and also incredible views over the island. Norfolk Island experiences a subtropical climate. September to March is usually a good time time visit as rainfall decreases and there are more sunny days. The best months for swimming are January through to March. 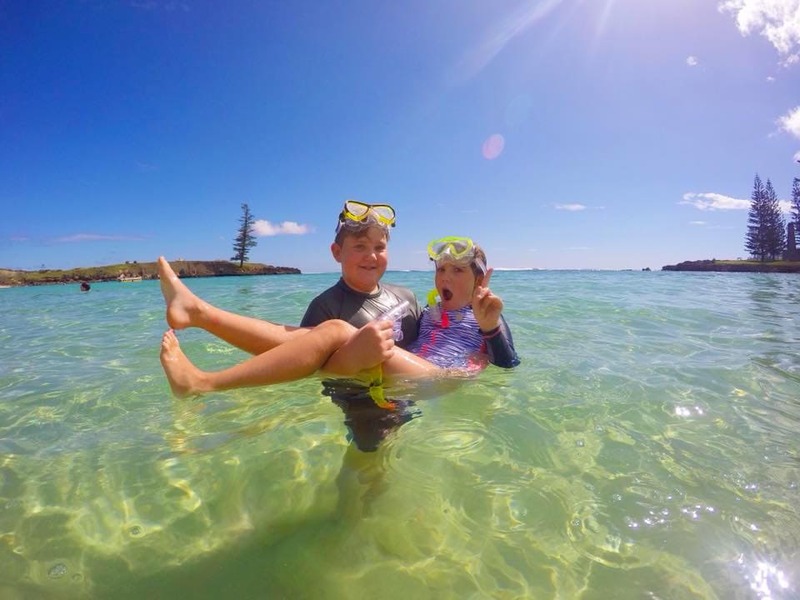 Norfolk Island has a range of accomodation options perfect for families. On our trip we booked a two bedroom, self contained unit at Broad Leaf Villas which included a car and mobile phone. 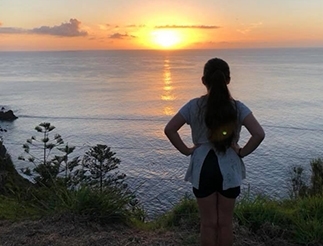 Leah and her family spent 7 days exploring Norfolk Island. Head over to the Kid Bucket List to read all about their adventures. You’ll typically find Leah off on an adventure with her family or dreaming up the next great exploration. 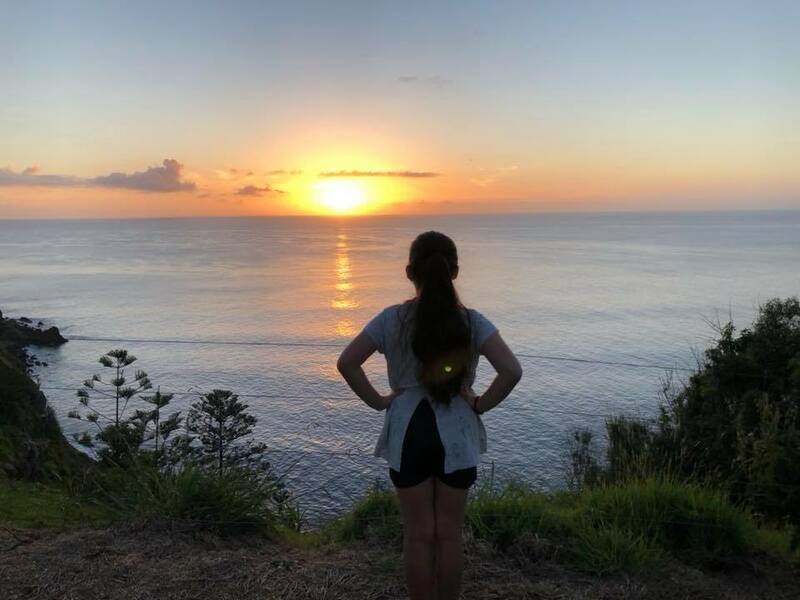 As an educator by day, Leah has worked out how to juggle her passion for family, education, and travel which she documents on The Kid Bucket List https://kidbucketlist.com.au. 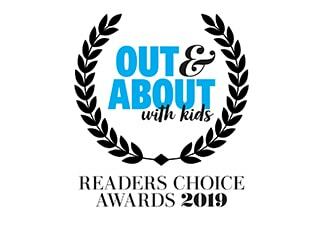 Based in Sydney, Leah co-founded Facebook group Sydney with Kids as a useful resource for local families looking for adventure.